Lebanon, the county seat, is a “community of opportunity,” a city with open arms and an enviable list of resources to help newcomers build their dreams. On Nov. 23, 1819, the City of Lebanon was officially incorporated. Lebanon – a city like no other, it has maintained its rich heritage through historic preservation and yet has a progressive flair that is primed for growth through the city’s effort to move forward with continuously expanding infrastructure. Lebanon remains accessible, affordable and primed for growth. 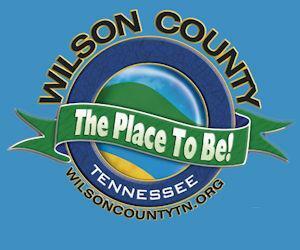 Lebanon is the county seat of Wilson County, Tennessee, United States. The population was 26,190 at the 2010 census, 28,608 in 2013 and 32, 372 following a special census conducted in 2016. Lebanon is located in Middle Tennessee, approximately 25 miles (40 km) east of downtown Nashville. Lebanon is part of the Nashville Metropolitan Statistical Area. Local residents have called Lebanon "Cedar City", mostly a reference to the abundance of cedar trees in the area. The city is home to Cumberland University, a small, private four-year liberal arts institution.